"Explains Everything As He Did It"
"Very Helpful, Friendly And Extremely Efficient." "Very Friendly And Helpful, Ade Did A Brilliant Job! Thank You So Much"
"Arrived Early, Got Straight On With The Job In Hand , He Explained And Demonstrated What The Problem Had Been." 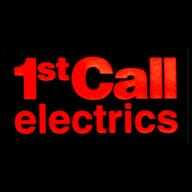 "He Checked And Checked Again"
Need a Electrician in Stafford?